Canadian Pacific announced its intention to sell a portion of its Dakota, Minnesota and Eastern (DM&E) line to Genesee and Wyoming Inc. Per IAM District 19 policy, the law firm of Guerrieri, Clayman, Bartos and Parcelli has been retained to ensure that all labor protective provisions and collective bargaining agreements are strictly enforced under the law. The proposed transaction would result in the formation of a new railroad, named the Rapid City, Pierre & Eastern Railroad. Genesee and Wyoming has indicated that it intends to hire 180 employees to staff the new railroad, primarily consisting of employees who currently work on the affected rail line. This transaction is subject to approval by the Surface Transportation Board (STB), and Canadian Pacific has indicated that it intends to initiate the approval process shortly. When Canadian Pacific files with the STB, District Lodge 19 will take part in those agency proceedings in order to ensure that members are afforded the full legal protections available to them in STB-approved transactions. Because Canadian Pacific is a Class I railroad, we anticipate that labor protective provisions, otherwise known as New York Dock protections, will apply to this transaction. Under New York Dock protections, the involved carriers are required to negotiate an implementing agreement with the union covering affected employees. If the parties are unable to agree on an implementing agreement, then agreement terms are set through interest arbitration before a neutral arbitrator. New York Dock protections also provide a minimum level of protective pay for employees who are dismissed or displaced to a lesser position as a result of a transaction and requires that no employee be deprived of benefits such as health insurance or retirement benefits. By statute, these protections now apply during a four-year protective period following STB approval of the transaction. In addition, District 19 will enforce the terms of all existing collective bargaining agreements that might be impacted by the transaction. The purchaser, Genessee & Wyoming, owns and operates approximately 100 short line and regional railroads in the United States. 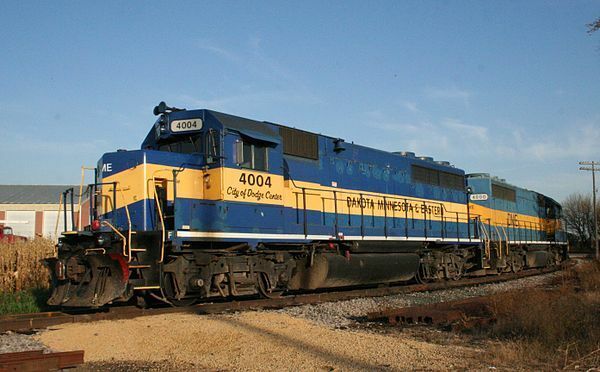 lAM District Lodge 19 currently represents employees at several GWI-owned railroads. District 19 expects to work closely with all of the involved carriers as this process moves forward in order to protect IAM members. Please visit District 19’s website for more information.